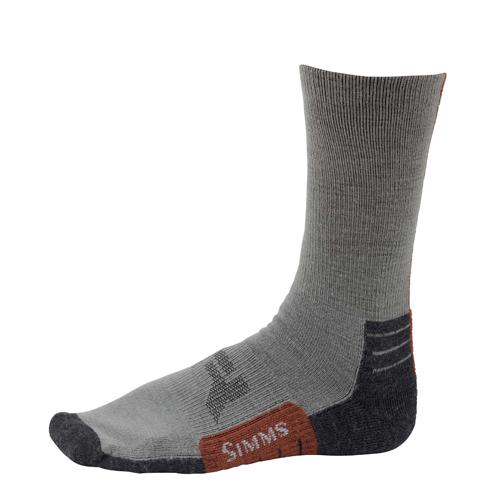 The new Simms Guide Lightweight Crew Sock is as at home on the water as it is off. These premium merino wool crew socks are great for wicking moisture and keeping odor away. Additional features include right angle arch support and premium merino wool for moisture management and odor prevention.